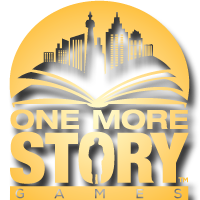 One More Story Games, an independent games studio in Barrie, Ont., has announced that they are adapting bestselling author Charlaine Harris’s novel Shakespeare’s Landlord into an interactive story game. Harris is the author behind the Sookie Stackhouse series, which was adapted into the hit HBO series True Blood. Shakespeare’s Landlord is the first book in Harris’s five-part Lily Bard series. Set in the fictional small town of Shakespeare, Arkansas, the book follows a young woman hiding from her violent past who unwillingly becomes the centre of attention when she witnesses the aftermath of a murder. According to the game’s webpage, Shakespeare’s Landlord will be released early in 2017 for mobile, web and Facebook platforms.